The cool breeze I felt on Labor Day morning was my first clue that this week would be significantly less draining. My plate hasn't been any less full (hence why my blog posts have been few and far between), but it was the small joys--like a small temperature drop--that made my week. So here's a look at the things that made me smile this week in the forms of food, fashion, friendship, music, and family. I have uncovered several Austin hot spots while I've been here (i.e. 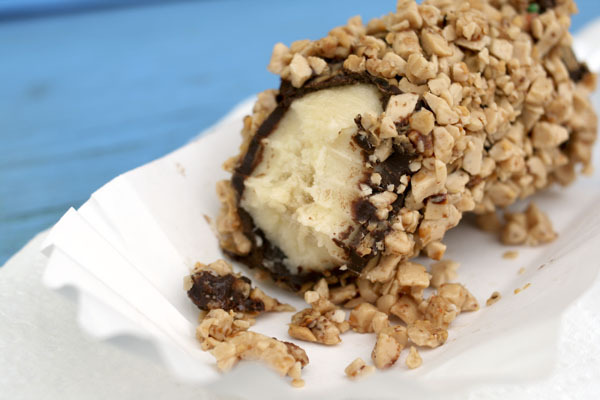 Mandola's Italian Market, Zocalo, and Leaf), but the one that stuck out to me as being especially blogworthy was Bananarchy--a small trailer that serves up chocolate-covered frozen bananas. Their impressive menu is sure to satisfy any sweet tooth. 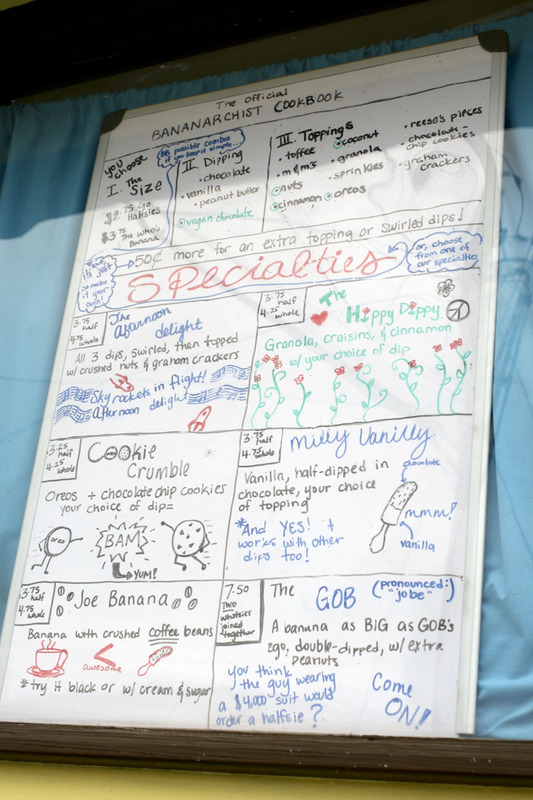 You can get creative by concocting your own treat or try one of their specialties as seen above. I went with my favorite flavor combination by topping mine in dark chocolate and toffee. I wasn't expecting to nail the whole thing, but less than ten minutes later all that remained was a layer of crumbled Heath bar on my napkin. I went to lunch with Erin, Jason and Sam on Saturday, finally taking advantage of the family I have here in town. While dining on milkshakes and burgers, I was delighted to enjoy the company of family. My alternative music discoveries always seem to be more grim in the off seasons of my favorite TV shows. I couldn't be happier to see that time of year come to a close as I already have a new favorite tune, Kinda Outta Luck by Lana Del Rey, thanks to the first preview for the fifth season of Gossip Girl. Two of my best friend's birthdays just so happen to fall on the same date. On Friday, Caroline and Mollie turned 19 (one more year of being a teenager!) I used this as an excuse to explore Austin's Paper Source store where my sister always finds the most darling (and hilarious) cards. I've never experienced such a small space that could entertain me for so long; I spent well over an hour reading each clever card and handpicking trinkets for a goodie back I sent to SMU for Moll. If you'll recall, I had a serious case of fall fashion fever not too long ago. I treated this illness with a faux fur fix. 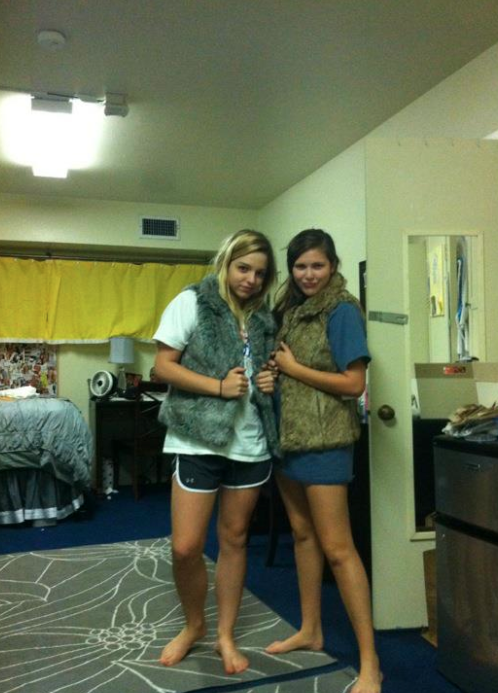 Merly (roomie/newbestie) and I got matching colored fur vests at The Domain. Yes, that happened. After a weekend full of activities and hosting two guests (hopefully future Longhorns! ), I'm wiped. Today's agenda included some much needed reorganizing, a Whole Foods trip to stock up for the week, blogging, and hopefully my schoolwork will get done in the meantime. *Please excuse the slicing off of words on this post. 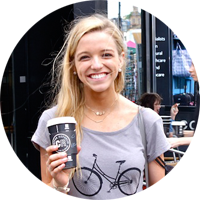 I converted to the new Blogger and it still has a lot of kinks to work out. All words will be seen in full on future posts.